Technology enters the world of protection against corrosion! The Propatech VCI technology enters the world of protection against corrosion in the form of anti-corrosive films. 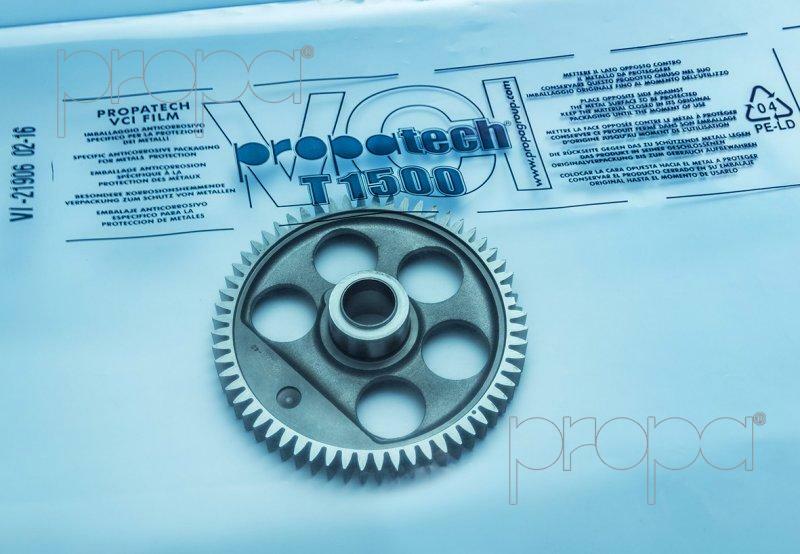 Propatech VCI T1500 and T3000 are co-extruded films with 3-5 layers where the inner layer immediately protects the artefact while the intermediate layer extends the protection over time and also guarantees the mono-directionality of the molecules, a feature which is one of a kind. Finally, the outer layer creates a barrier that protects the packaging from external agents and at the same time contains the protective action inside. The T1500 and T3000 anti-corrosive films are also transparent, therefore, it is easier to place the metal parts inside the packaging and, the customs procedures are made simpler because it is not necessary to open the packaging, which is not to be underestimated, so the anti-corrosive protection remains stable.